Are you looking for job in BMW. BMW job have been launched. Want to get more information this job. Look the more information below. 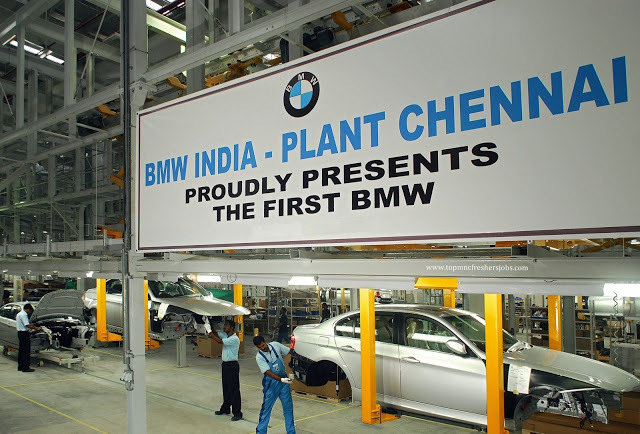 Company Profile: BMW is a luxurious car brand in India and the world, with a clear vision of 'Sustainable Growth', BMW is committed to Sheer Driving Pleasure with excellence in design, unrivalled luxury and the power of innovation. The BMW Group delivers premium quality and world-class products. This is possible only with an outstanding corporate culture. BMW India continuously focuses on its competencies to remain a value-driven, customer-focused and performance-oriented organization. Job Description : The role holder will be responsible for the planning and ordering of materials in line with Primary Planning system tool and production demand / forecast. His/her responsibility is to ensure the proper implementation of Material Planning process and assure the supply performance according to the demands of the plant with supply partners and control process of deliveries to the plant. To manage and ensure the proper implementation of Material Planning process within a defined part spectrum and to control the process of deliveries to plant. To steer and manage Material availability in all aspects for smooth Production by liaising with central material planning, supplier, internal partners on demand, parts availability, replenishment information and shipping details. Maintaining all relevant master data in SAP such as Material Master Data, Info record, Schedule agreement, Schedule lines and MRP parameters for all parts in coordination with Purchasing, finance for price / info record related topics and with central function team, change co-ordination for part no. or supplier related information.